I've been wanting to try and make zipper bracelets since, like, forever. 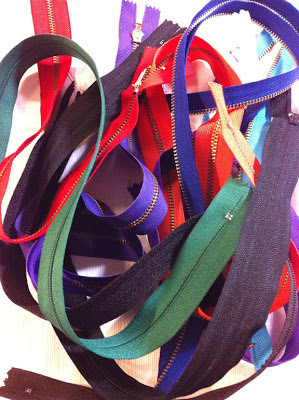 I went to a local fabric supply store in town and bought a whole bag of remnant zippers. 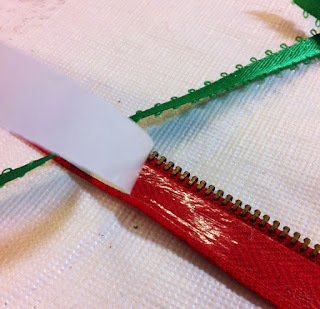 When you buy zippers for this project, you really want the ZIPPER part to show so look for zipper that have chunky gold or silver teeth, as opposed to the boring ones that are painted the same color as the fabric. 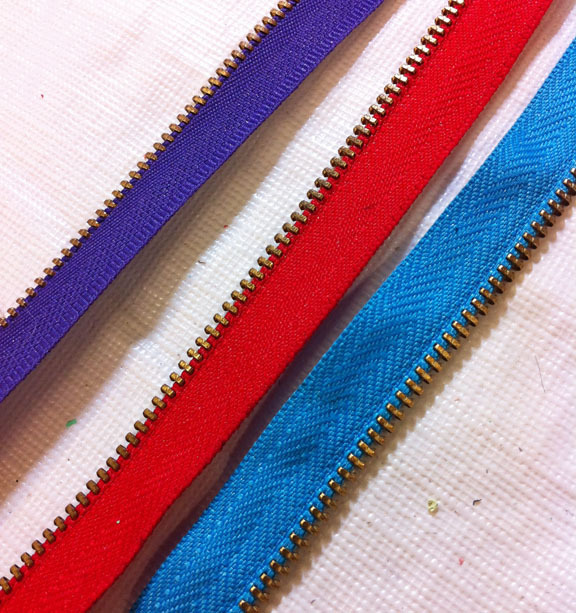 For the bracelets I made, I opened them and cut them right above the zipper handle. These are going to be my bracelet bases. 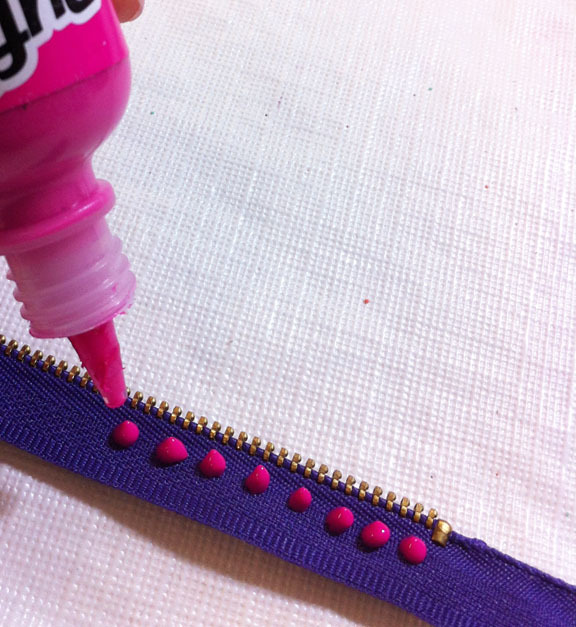 Cut to fit your wrist. 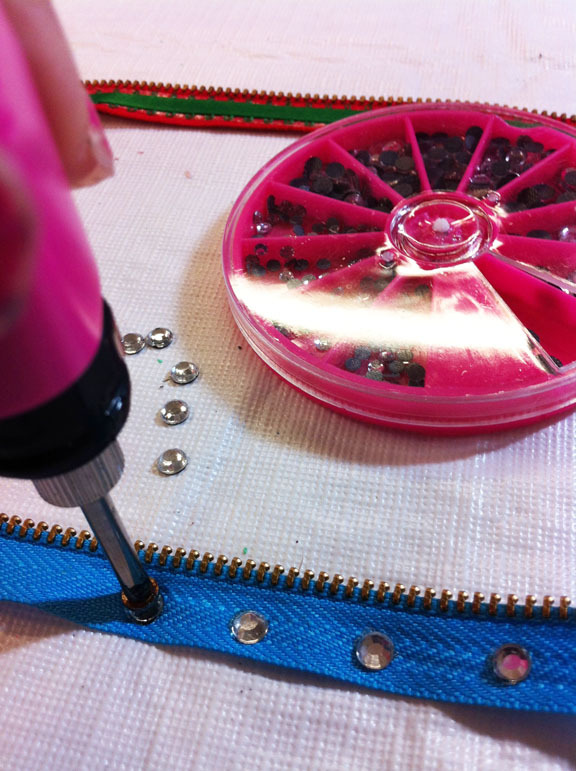 Aleene's® Fabric Fusion® Peel & Stick Tape™ to apply ribbon. For another one, I used the Tulip® Cordless Heat Setting Tool™ , Tulip® Glam-It-Up!™ Iron-On Crystals™ andTulip® Glam-It-Up!™ Fashion Art Tweezers™. When they are done, they'll look like this. 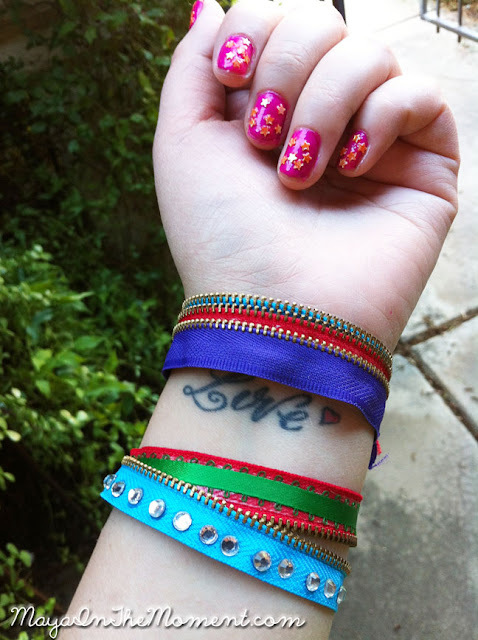 I really love bright colors so I used a lot of contrast in my bracelets. Now it's time to make them wearable! Snip off a piece of Aleene's® Hook & Loop Tape™ and affix to each end. Here they are, my finished bracelets. It was cold outside, so my Puffy Paint one is still drying, I'm excited to wear it too! This was a really fun project, I plan to make a lot more for my friends! Hey, if you like this project, you might like my other bracelet idea too! 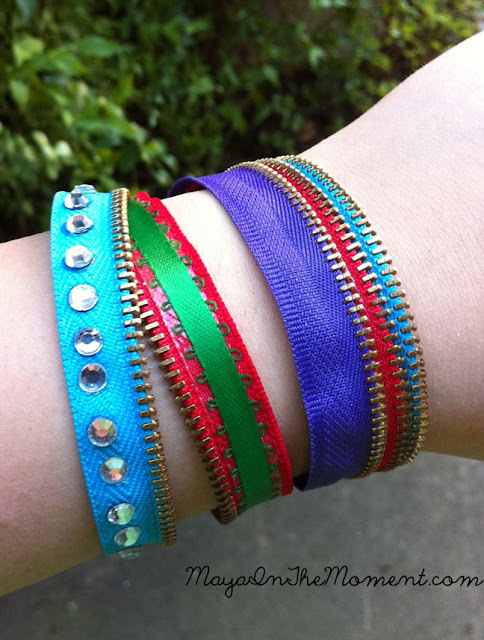 Stiffened Embroidery Floss Friendship Bracelets. Thanks for checking out my project, come see me on my Facebook page! Hey did you ever do the ipad giveaway? These, are really cute .... and who doesnt have dozens of old zippers, that never got used! Now theres a way! 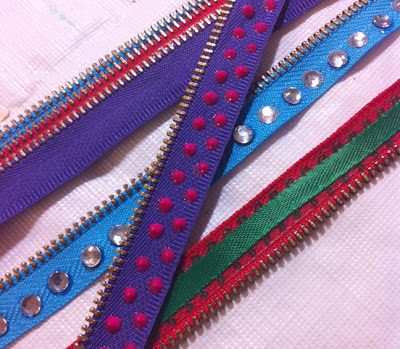 Question is, you dont show photo, of the other side, how did u finish them, or clasp the 2 ends together? I'm going to make these. I know my 12 y.o gr. daughter and her friends would get a kick out of wearing them!